The foundation to any relationship and especially those living with dementia is...COMMUNICATION! 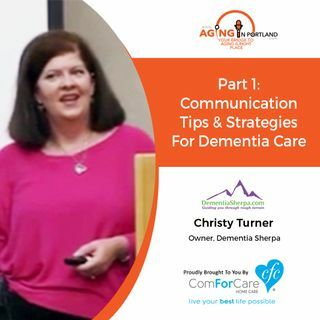 Christy Turner, owner of The Dementia Sherpa, joins us for a four-part which will help us to discover the right communication skills and strategies for those living with Dementia. Practice communicating respect, kindness, and love...stay calm and flexible.